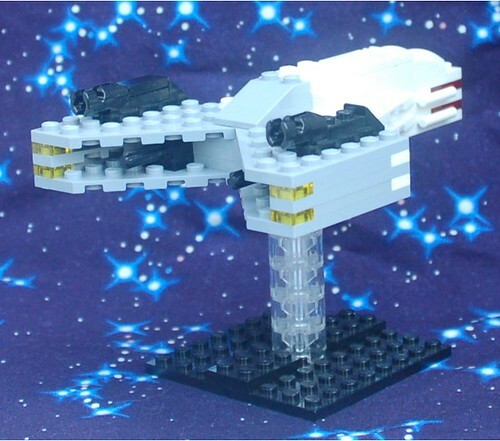 Tanto Class Frigate, on Flickr. Another new Intercept Orbit design. It seems a bit cheesy to be going with a Japanese name, but it seems to fit somehow. I haven't added any attachments yet. I like the split-prow, very unique. But wouldn't Sai be a more appropriate name? gusindor wrote: I like the split-prow, very unique. But wouldn't Sai be a more appropriate name? Jitte would probably be better. Oh, so that's what those are called! I really like the plates between the wings, but I'm stumped as to what the white bars are sticking out the back.It really looks like some kind of 1x2 with a bar sticking out horizontally, but I can't quite tell. Either way, it makes for a nice profile. 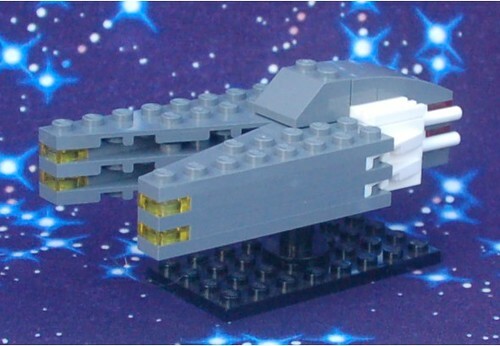 Katana Class Cruiser, on Flickr. The larger brother to the Tanto, this design is also presented without any Attachments. Those open spaces inside the wings look like great places for frame catapults. gusindor wrote: Those open spaces inside the wings look like great places for frame catapults. I'll probably pop some Stud Shooters in there as Catapults if I get any in a good color. 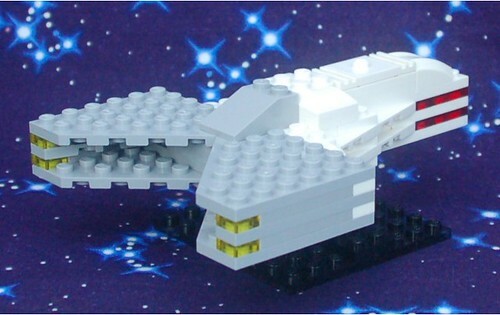 An equipped version of the Katana class Cruiser. Stats: 2K (topside catapults) 2Rp+d8 (forward phalanx cannons) . 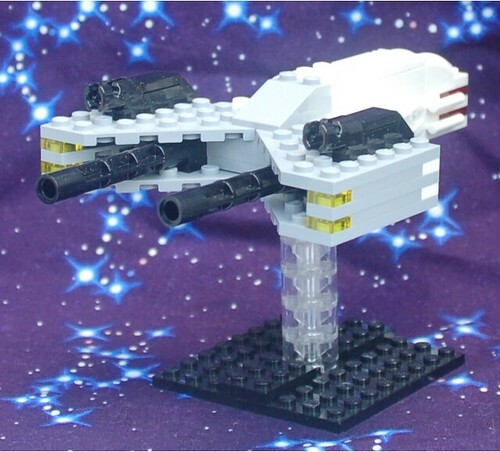 Another equipped version of the Katana class Cruiser. Stats: 2K (topside catapults) 2Rs+d8 (forward cannons) . The stud shooters do make nice catapults. Those are all really nice, but frankly the stud shooters look too much like weapons to me, which isn't a bad thing, I just wouldn't deploy them as frame catapults.